We are pleased to have our EMPIRE sofa featured in 2018 June edition of one of the Panama's most recognized magazine, the PRIME LIFE & STYLE. Featured in a edition with a special interview about its own designer Javier Gomez. The piece was presented among other creations from the designer, reflecting his sucess in the country and around the world. EMPIRE is minimally designed to bring fresh and innovative approach to suit into any contemporary living space. MR.NORTH brings unique materials to life. Emperador is a very powerful and dominant marble, that is sure to make a statement with its dark brown base and a light brown to gold clouded veins. 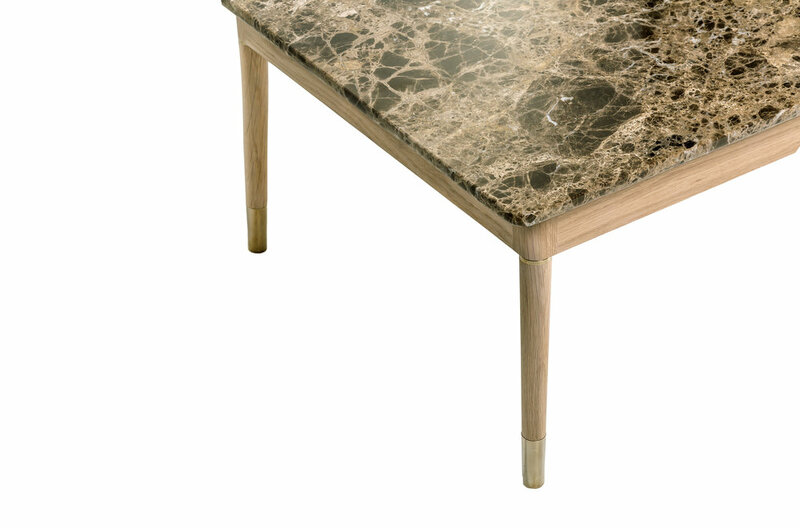 Find out below some of our best designs where Emperador is present. Winter is coming. We can already feel the days getting shorter and the breeze getting colder. On one hand, it's sad, and we get nostalgic about Summer, but on the other hand, we have the opportunity to arrive home and enjoy the warmth of the fireplace, the smell of fresh biscuits, and on top, to cover ourselves with plushy fur blankets. If you're madly in love with fur, take advantage of the season and bring it to your home décor! Keep scrolling and discover a few good examples. Whether it's on a sofa or on a chair, a fur blanket makes your Scandinavian design feel cosier and extra luxurious. Fur has the power to transform any place into a cosy shelter. Whether your tastes tend to lighter atmospheres or darker ambiences just fill your rooms with light coloured hides or dark heavy fur blankets and you will instantly feel the warm call of winter! MR NORTH's CASIS, designed by Studio Sagitair, is perfect to be styled with a fur blanket. Its sobriety, an ode to the Scandinavian style, urges for a soft element. Thank you so much for keeping up with us, and feel free to pin all the images you love to your Pinterest mood board. You can also sign to our newsletter to make sure you don't miss a bit form our world! 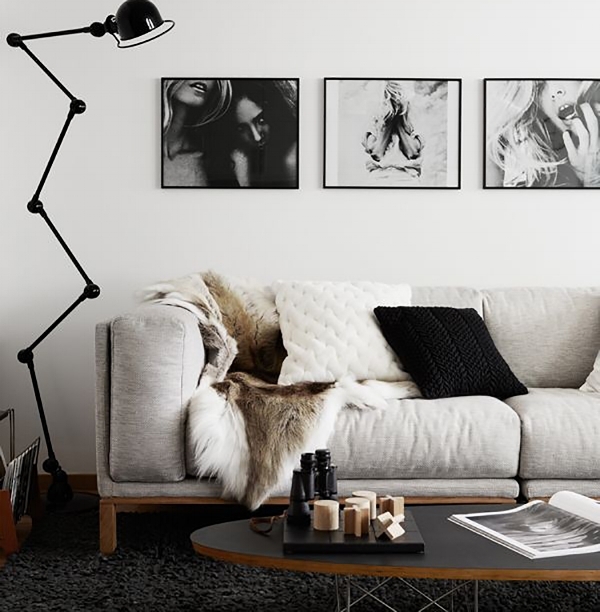 When you first look at a Scandinavian inspired design, you instantly notice that you can see all the person’s belongings, but at the same time everything seems cosy and organised. Is it some Nordic incantation? We believe not. In fact, this is a Scandinavian ability: to coordinate form and function. This way you can have your storage working as décor. Keep scrolling and get to know some good examples of this incredible trend. Mr North is always keeping track of the best trends! Therefore, we introduce you to Nerone bookshelf, a Scandinavian inspired design produced in solid oak or walnut wood and projected by the renowned designer Giacomo Sagitair. With this bookshelf, you'll be able to display all your items, and everything will always be seamlessly organised for sure, just like you see in magazines like Architectural Digest or Elle Decor. Javier Gomez was one of the 6 winners of the Rising Talent Awards for M&O Americas in 2016. Check below his selection of M&O highlights. Keep your working space calm by storing your everyday objects neatly. Nerone bookshelf and Poli desk designed by Studio Sagitair could be the perfect solution to do this in a subtle way. A wooden office desk in minimalist style from Studio Sagitair by Giacomo Cattani is a great furnishing item for designing a contemporary home office. Simple and elegant, Poli desk is a perfect office furniture item which incorporates two drawers that provide ample storage for desk accessories. Made in solid oak or walnut, simply and quietly performs the task required, while remaining approachable and appealing to the senses. It cannot miss in your living room! The cocktail cabinet is becoming a must-have, an object to be owned at all costs and to be displayed in a corner of your precious house. It's back in fashion. After years spent going out to crowded bars, drinking poor quality cocktails while eating terrible food, finally the trend is changing. It's a return to the love for our home, for a refined atmosphere, silence and gentleness. Our house can give us unique moments made of shared chats, laughter and emotions. In an era when everything is going fast, getting a moment of intimacy is a great luxury. With that in mind, Studio Gud has designed Spring, the perfect cocktail-cabinet for your home, and do not forget to fill it with a bottle of red Vermouth, one of Campari, and one of dry Martini. A bottle of Cognac, one of Gin, and one of Whiskey. Cocktail biscuits, salted almonds and chocolates. A shaker, an ice bucket, coasters and glasses for every wish. Invite friends in your living room, play some good jazz music and offer them the first glass. Make them feel special, just like you are. Fall offers a weath of inspiration, with its burst of beautiful colours evoking a sense of warmth and comfort. If you prefer a richer colour scheme for winter, look out for a midnight blue, indigo and ink colours. This year's "neutrals" come in the form of a palette of winter - morning eyes. Casis armchair is the perfect addition to your living room this winter. It's no secret that marble is a huge trend in decor right now, there's no denying that it's the material of the season. Last but not least, another one of the popular trends is leather upholstery but using trendy and fun colours. Combining two period time of classic and contemporary. This Autumn, MR. NORTH products are popping up at EL CORTE INGLÉS in Porto, bringing fresh ideas to decorate your home in this new season. For the entire October month, you'll be able to see our pieces exhibited at the 6th floor of EL CORTE INGLÉS in an elegant and cozy atmosphere. One month after the Spetember edition of Maison & Objet Paris, it's time to go back and show you some of our most memorable moments during the show. MR. NORTH's team would like to thank you for your visit at Maison & Objet fair. Once again, it was a pleasure meeting you, exchanging and introducing our new creations. Our commitent is to continue presenting another perspective of luxury at the next edition of Maison & Objet January 2018. With the arrival of September we slowly step back into work mode by decorating and accessorizing our office. 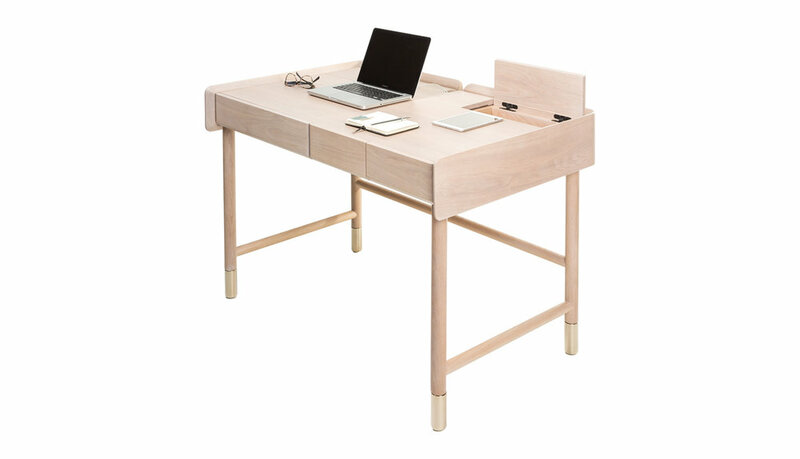 Hideout desk designed by Studio Gud is the perfect statement piece for your office. 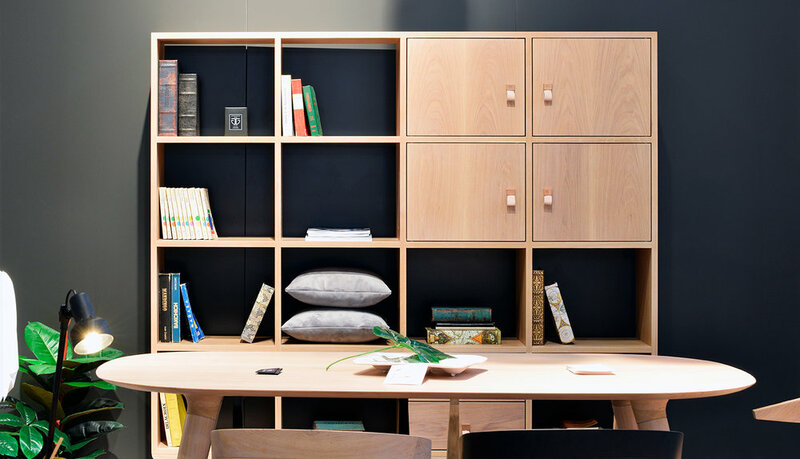 Generously proportioned and minimalist, Hideout unfolds into a clever work station that offers a wealth of storage. Storing office accessories, documents, cables and peripherals, when work is completed, the desk returns to its original form, hiding everything neatly away. As an extension of the Maison & Objet trade fair, Paris Design Week provides an international platform for young and emerging design talent. Organised across Paris and comprising over 180 venues, including some of the city's premier exhibition spaces (art galleries, museums and cultural institutes, like La Maison Rouge, 104 and the Musée de la Chasse et de la Nature) as well as concept stores and even hotels and restaurants, the week-long design 'itinerary' is free of charge, inviting the public to discover the year's newest collections and prototypes. Taking a broad-based view of design, the show features everything from furniture and home décor to fashion, art and even gastronomy. So if you are going to Paris for Paris Design Week, bear in mind that the design hubs will be located in four areas: Saint-Germain-des-Prés; Les Halles/ Le Marais/ Bastille; Opéra/ Concorde/ Étoile and Barbès/ Stalingrad. Find below five events that will be happening in these areas during 9 days of the week, giving you a chance to meet exhibiting designers, shops, and galleries after hours. This year, an exhibition titled THE NOW! LE OFF will spotlight over 100 new design talents and emerging brands. Visitors often consider it an extension of Maison & Objet. During the Paris Design Week 2017, the Molteni&CIDada Flagship Store presents “Vincent Van Duysen Architecture”, a retrospective exhibition of the architecture projects of the Belgian architect, a personal account of two decades of work presented through a series of photographs and models. IKEA will present exclusively its new collaboration with the Danish brand - Hay, in the Marais, at 16 rue des Minimes. The fifty timeless and sophisticated pieces are grouped in a collection entitled Ypperlig or "Excelence" in French. From 31st of August until the 13th of September, all the music and jazz lovers in the city will be able to enjoy incredible concerts all around town. From the 13th until the 30th of September, the Festival de L'Automne will once again celebrate the beginning of the fall season with a fabulous line-up of events and exhibitions that celebrate contemporary visual art, cinema, theater, music and more. Pantone has unveiled a preview of the shades that will be in vogue this 2017 summer, fleeing to the tradicional colors. Despite being more focused on fashion, Pantone also influences the interior design. Among the colors that stand out most this summer, there are three shades of blue - Niagara, Lapis Blue and Islanda Paradise. Here, at MR. NORTH our favorite shade is Niagara. Versatile enough to be matched with every shade, this comfortable blue is quite pontent to take us somewhere near the Niagara falls to stare at that sublime scenery and listen to that relaxing water sound. Comfortable and dependable, Niagara is the most prevalent color for 2017. Like a classic denim blue, it speaks to our desire for ease and relaxation. MR. NORTH is moved by the passion for design, making the bridge between the past and future. The result is an eclectic collection characterized by simple and attractive shapes with an incomparable quality, combining original materials and innovative techniques which defy time and space. Located in a small village in the North of Portugal, MR. NORTH was born out of a simple yet passionate idea to create a home collection able to interpret classic themes with a contemporary flair, products that can stand the test of time and convey a sophisticated yet relaxed elegance. 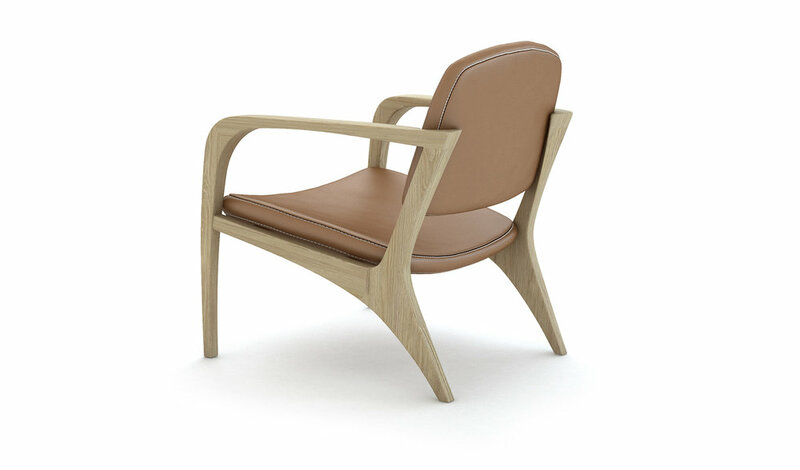 With over 50 years of experience in furniture manufacture, MR. NORTH connects the woodwork of old masters, giving space to new designers to bring the future design icons. Javier Gomez (rising talent from M&O 2016), Jonas Lyndby Jensen, Studio Gud, Clementine Caurier, Giacomo Sagitair and Sascha Sartory are some of the names that bring to life the MR. NORTH’s pieces. For the first time ever, MR. NORTH will be introduced in the September edition of Maison & Objet Paris at Hall 7, where will be displayed an intimate and cozy collection that expresses the elegance of a luxurious and minimalist interior.